Founded on Aug. 9, 1917 in Spokane, Washington, the Washington State Federation of Colored Women (WSFCW) confederated several social and civic clubs organized by African American women during the early 1900s. The African American women’s club movement in Washington State began in 1908 with the founding of the Clover Leaf Art Club in Tacoma by Nettie J. Asberry. The WSFCW brought together city federations and individual clubs from Spokane, Tacoma, and Seattle as well as some in Idaho and Vancouver, B.C. At its height, the WSFCW comprised over 120 individual clubs with 500 members. The WSFCW affiliated with the National Association of Colored Women, which was founded in 1896 in Washington, D.C. The WSFCW used a theory of self-help activism or “racial uplift,” as advocated by Booker T. Washington, to better the social, economic, and political condition of African Americans, both locally and nationally. The organization’s motto, “Today is Ours for United Service,” reflected the organization’s agenda. The WSFCW activities included sponsoring arts and crafts competitions, academic lectures, conducting etiquette classes, providing housing and employment training for homeless women and college scholarships to African American women. The WSFCW also acted as an advocate in political issues, especially education and juvenile delinquency. The WSFCW declined in the 1970s as many African American women were allowed to join newly integrated organizations. 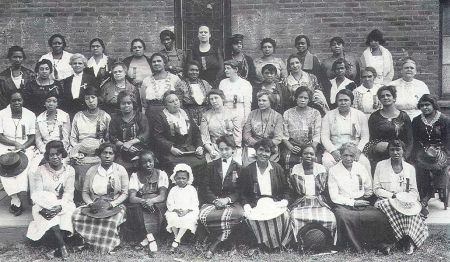 However, several African American women’s clubs still exist in Tacoma and Seattle. Nettie J. Asberry Papers. Special Collections: Manuscripts and Archives Division. University of Washington, Seattle.